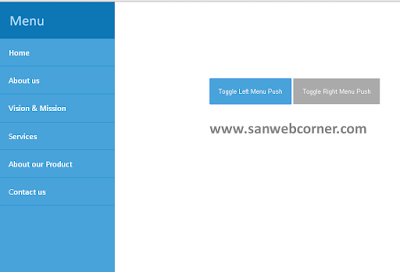 Push menus are basically used one for website to display the menus in different manner. This will done by using simple Jquery and css code. Here i will show you how to create left-to-right side push menu and right-to-left-push menu using simple jquery and css3 codes. This types of menu is commonly used for websites and also this types of menus will not occupy any spaces in the webpages until it clicked. This push menu is coming from the left to right side when you click the particular button and shows the left side menu when you click again it hides to left side. It also called by the name of left slide menu. 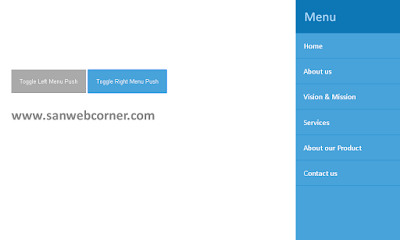 This is like a toggle menu you can use it to your website. Instead of this type of button you can also use the mobile menu and call the particular class. This is another way to display the push menu from right side to left side. This will hidden menu by default, When you click the button it shows the menu from right to left and when click the button again it hide to right side.It also called by the name of right slide menu. 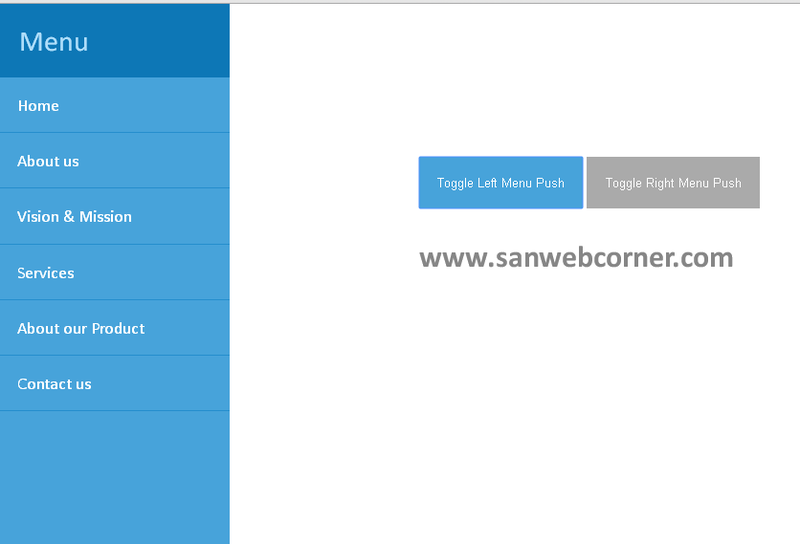 This types of push menus are commonly used for the web pages. The Below example have the full code and demo pages for your reference. You can check it out the demo pages. I hope this post is really helpful.